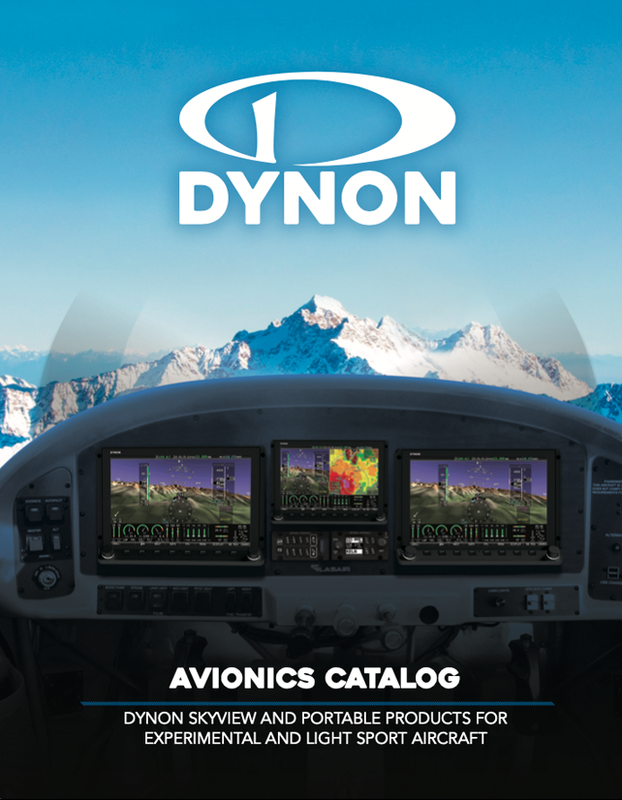 Mounting: The SV-ARINC-429 is nominally mounted in the avionics bay. Connections: The SV-ARINC-429 has two connectors. 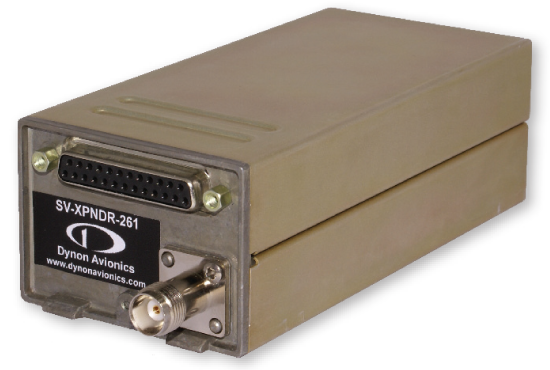 First, a D25 that attaches to your ARINC-429 device (such as a Garmin 430/530). 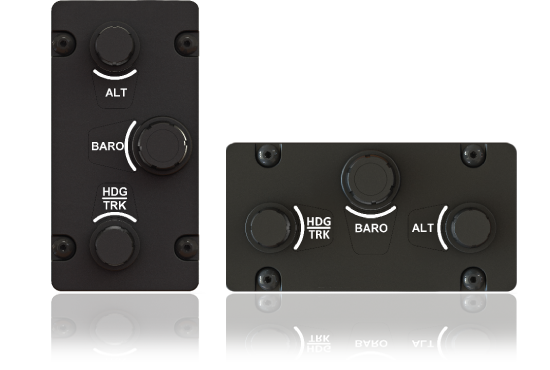 It provides two ARINC channels in and one ARINC channel out. 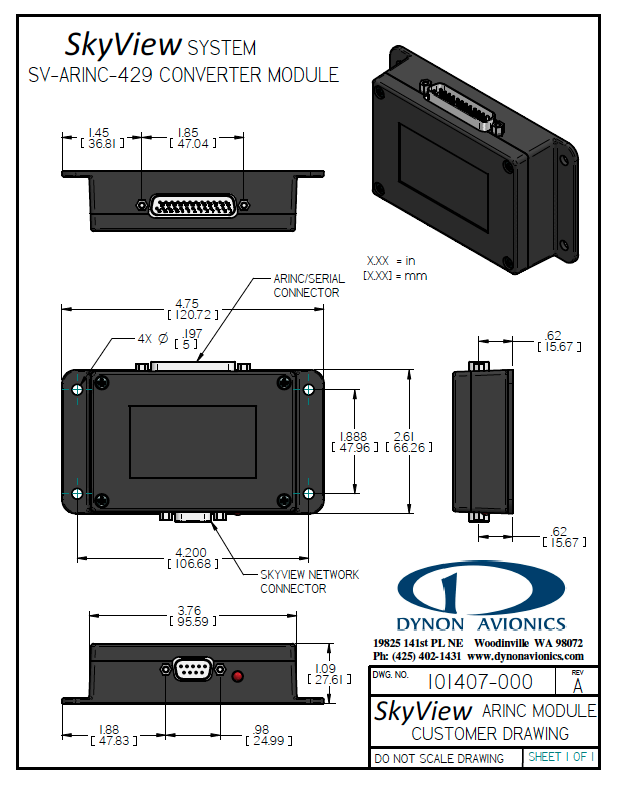 Two SV-ARINC-429 Modules can be connected into a SkyView System. 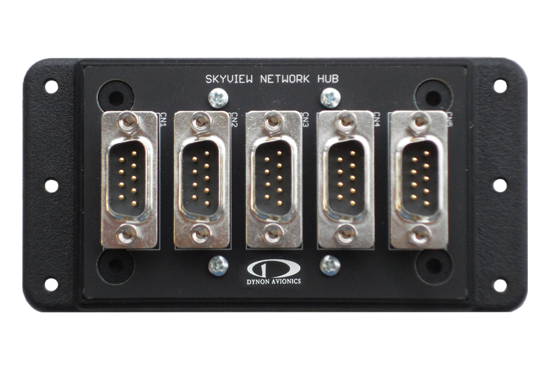 And second, a D9 that connects to your SkyView network with our standard network cables.